This is a very central hotel which is IDEAL for the train station (which I needed it for, for a meeting in central london the morning after my stay). It is a basic hotel. The rooms are clean and spacious - not particularly luxurious, but the bed is comfy and had a huge shower... so it has everything you need! Comfy stay, asked to have my sheets changed every night due to bad hay fever and had no issues. Cheap and cheerful. Central location and good price. My friend loved the mirror in the bathroom. Space, comfort, no noise, clean, good mattresses. Could do with room service though. Clean, central, good value for money. Didn't have breakfast so can't comment on food. Didn't have breakfast, felt the room was small and in desperate need of an update, but it was clean and not over priced. 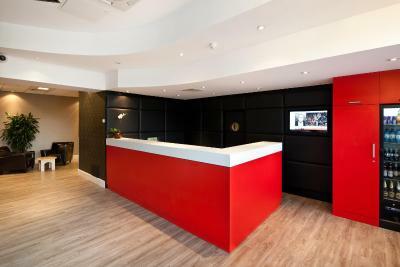 ibis Stevenage Centre This rating is a reflection of how the property compares to the industry standard when it comes to price, facilities and services available. It's based on a self-evaluation by the property. Use this rating to help choose your stay! 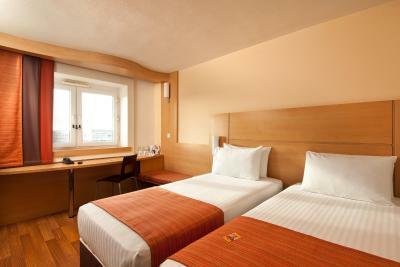 All of the modern rooms are well furnished, with comfortable beds and contemporary, spacious private bathrooms. 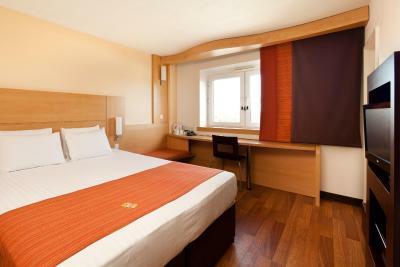 Located in the town center, this Ibis Hotel is next to a shopping center and 5 minutes’ walk from a leisure center with a cinema, bowling alley, night club, and a range of restaurants. Guests may relax in the modern restaurant, which serves a varied menu and 24-hour snacks. The informal bar stocks a range of beers and wines. Knebworth Park is a 5-minute drive away and Luton Airport is 16 miles away. 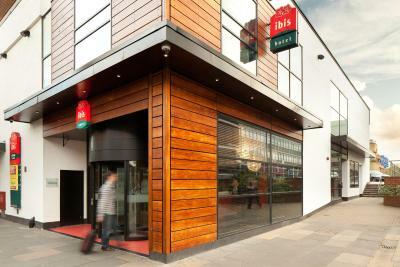 When would you like to stay at ibis Stevenage Centre? 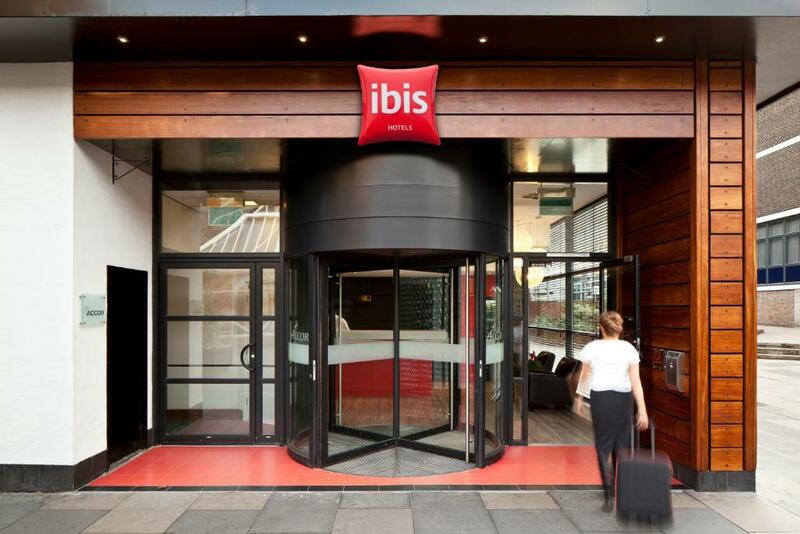 House Rules ibis Stevenage Centre takes special requests – add in the next step! 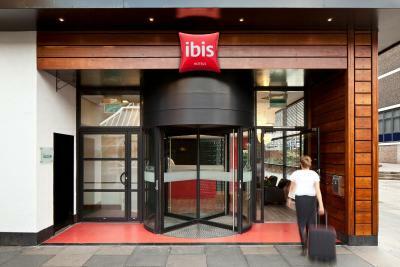 ibis Stevenage Centre accepts these cards and reserves the right to temporarily hold an amount prior to arrival. 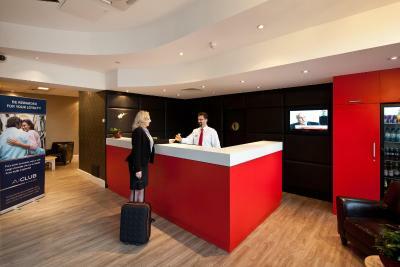 If guests decide to pay cash at the hotel a £200 cash deposit is required with photo ID. 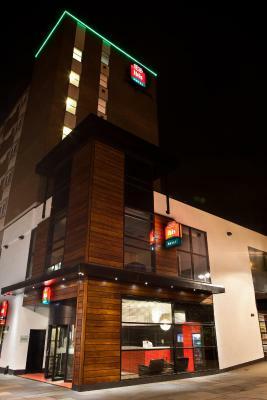 Pets are welcome for an additional GBP 20 per night. We had a twin with a toilet that stopped flushing and Aircon that wouldn't change from 25 degrees. We had a double that had 2 twins pushed together made up as double. Room had dripping water sound, but couldn't find source. The noise issue caused by the fans extraction system.Had to change the room twice because of it.Ir runs 24/7 yet not all rooms have the same level of noise. The staff approach.Available,kind and supportive. Very clean, room was ok. The tv was very small, didn’t necessarily stay for the usage of a tv but would have liked to be able to have seen the tv screen whilst watching it. 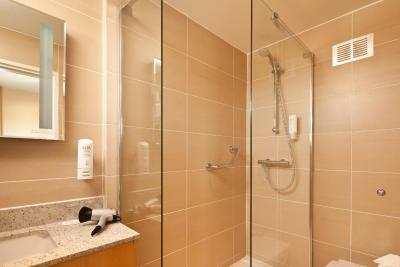 The shower was rubbish, didn’t feel like you were actually rinsing shampoo and conditioner out of your hair! The lifts could be a lot better, one of the lifts we would cross our fingers hoping the door would open as was very stiff! The bathroom was okay but small. Members of staff were approachable. Was near to good food restaurants. The extremely bad smell of weed, resulting in 4 room moves. Cheap but untidy, dirty washing containers stored by the lift on my floor, felt like tradesman accomodation. Room quite run down & in desperate need of a refurb. Cheap but for a reason..
Lifts were noisy and one broke down. 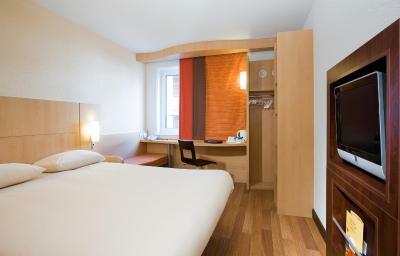 Room was very clean and comfy, staff were lovely and the choices at breakfast exceeded my expectations. A little basic but overall, good value for money. Well situated for the town centre.